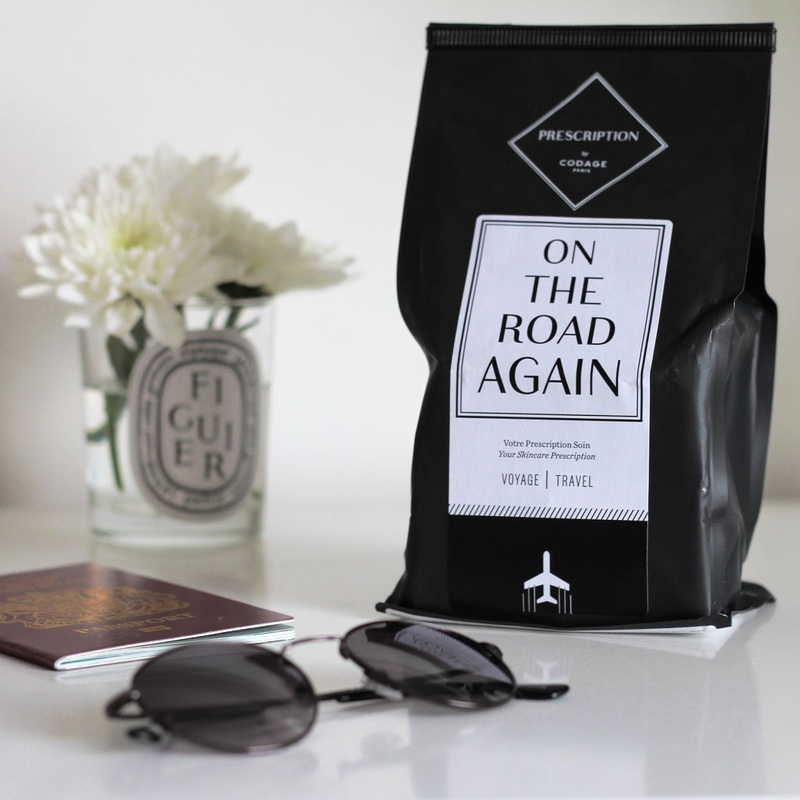 Before I start getting incredibly giddy and happy about my love for this brand, as some of you may have noticed, yes there is a passport in this photo and yes Newcastle is an hour down the road from me… but it looked friggin good in the photo okay (pls don’t hate me). Now I’ve disclaimed my use of last minute, irrelivant props in my photo, time for the review. 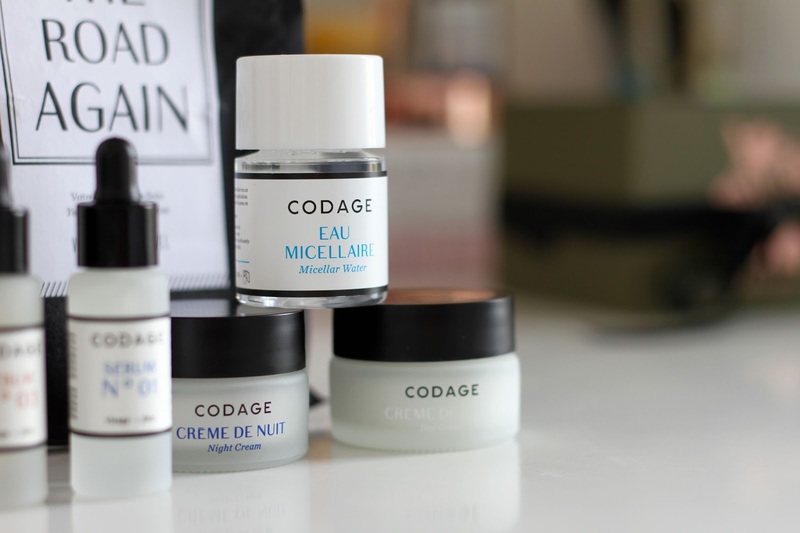 CODAGE is a brand that screams everything I love in skincare. Simplicity, effectiveness and clinical. 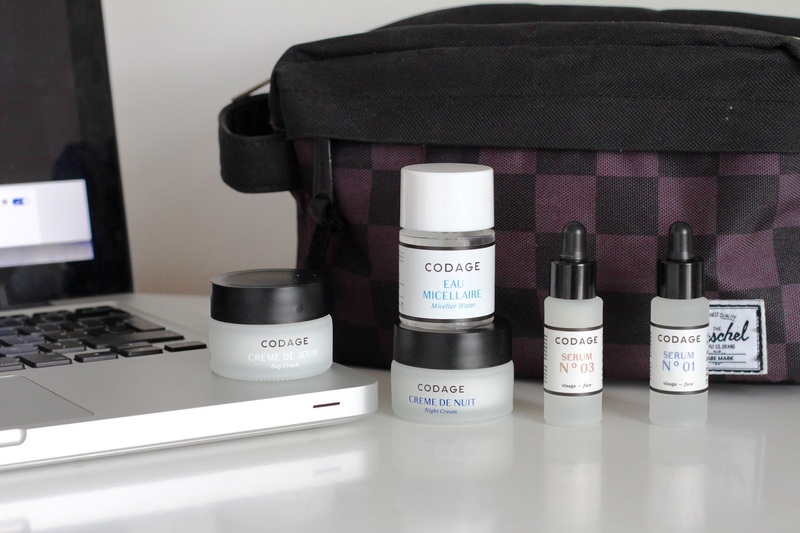 This ‘On The Road Again’ kit is aimed to meet all your basic skincare needs for your small trips away. I really love the idea of this, theres nothing worse than deciding what to take on a trip and debating between full size vs. miniature. These little bottles hold the right amount for days worth of skincare. These discovery kits are also perfect for people who want to invest in a certain brand, but don’t quite know which product they want. The kit is designed around 3 steps; prepare, act and protect. The first product is a EAU MICELLAIRE (Micellar Water) “Moisturizing, Detoxifying & Anti-Pollution” that can be used as a makeup remover or a toner. Designed to be used twice a day, morning and night, this preps your face for the rest of your skincare. These are both incredibly light weight and sink really nice into your skin with no greasiness. The evening serum is a lot thicker than the morning, yet still non-tacky or oily. Again, these are very light weight and skin straight into the skin with little effort. This acts as a shield to protect your skin, locking in the goodness of the kit. Interested? Well you can get this kit from this link here £69.00. I really love this skincare range. I think it’s a really good solution to travel skincare, for effective and simple use. There’s nothing complicated or a long winded routine that is hard to stick to, so invest and try it out!